Step into a world of colour with the Coastal Scents 252 Ultimate Eyeshadow Palette*! From beautifully sheer to insanely intense, this collection of highly pigmented shadows is ideal for creating a variety of looks for day or night. This Coastal Scents 252 Ultimate Eyeshadow Palette* is the all-in-one palette for creative makeup artists, makeup junkies or beginners. 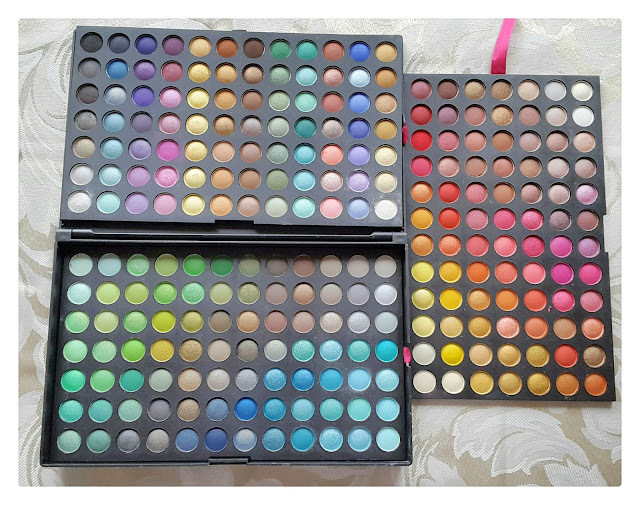 It features three individual trays of eyes shadows which are compatible with the Coastal Scents* 120 Palette cases that are compact, convenient and portable black matte case for anyone on the go. 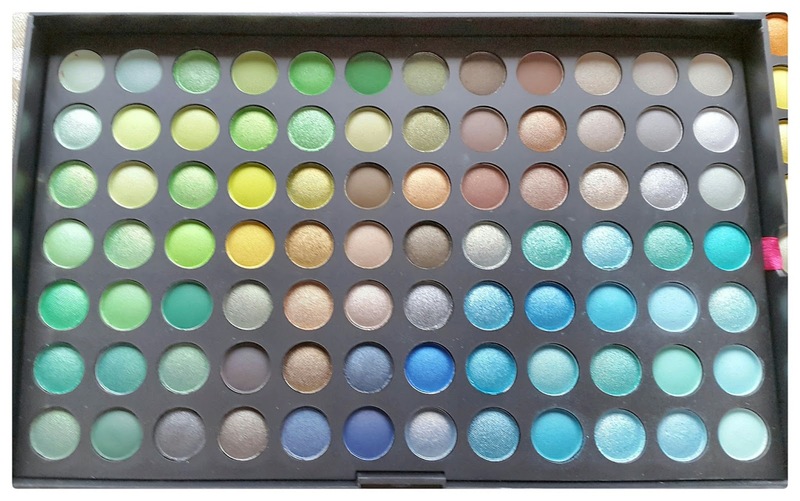 Tray One: The first tray of the Coastal Scents 252 Ultimate Eyeshadow Palette* includes gorgeous eyeshadows ranging from greens and blues to browns and greys. Tray Two: The second tray of the Coastal Scents 252 Ultimate Eyeshadow Palette* includes beautiful eyeshadows ranging from bright yellows to deep-toned reds and browns. Tray Three: The third tray of the Coastal Scents 252 Ultimate Eyeshadow Palette* offers a wonderful variety of light blues, purples, neutral browns, and earth-toned greens. With 252 different highly pigmented pressed powder colourful eyeshadows, each stunning shadow can be applied dry or wet for a more dramatic effect, leaving no look unimagined. The shadows are long lasting and easily blendable perfect for all eye colours and shapes. The Coastal Scents 252 Ultimate Eyeshadow Palette* is great for exploring bright and creative coloured looks and perfect for any makeup lover. Coastal Scents* have been one of my favourite brands for years and years now, and I highly recommend all of their amazing makeup and beauty products - I have had so many products by then over the years. Coastal Scents* offers trendy cruelty-free makeup palettes, premium cosmetic brushes, and beauty products at discount prices with worldwide shipping! What more could you ask for in a makeup brand? Have you ever tried Coastal Scents*? What are your thoughts? Looks like a beautiful palette. It has all the colours a girl could possibly need. 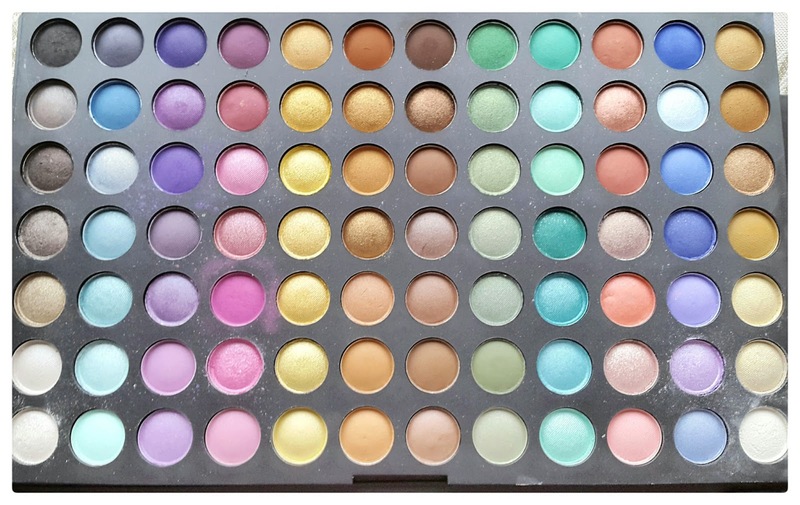 Wow there’s so many colours on this palette and so pretty! This would make an amazing gift for anyone who loves make up! Oh wow, so many colours! I never thought I would go for a palette like this (I'm so boring with my eyeshadow colours - nudes all the way!) but looking at these colours it's got me thinking of ways I could incorporate them and be a little more creative! Ahh I have a palette very similar to this and I love it, perfect for creating more colourful and unique looks! WOW, I am super impressed by the wide range of shades and the incredible pigmentation on this planet! It has pretty much everything you could ever possibly want! Great to hear that they are cruelty free too! Oh my gosh how many shades?!?! This sounds like an incredible palette! Ahhhh I'm drooling! It's great that they are cruelty free as well! I've also never heard of them, but now I will have to investigate! Thanks for tips! Flippin heck I wouldn’t know where to start with this! 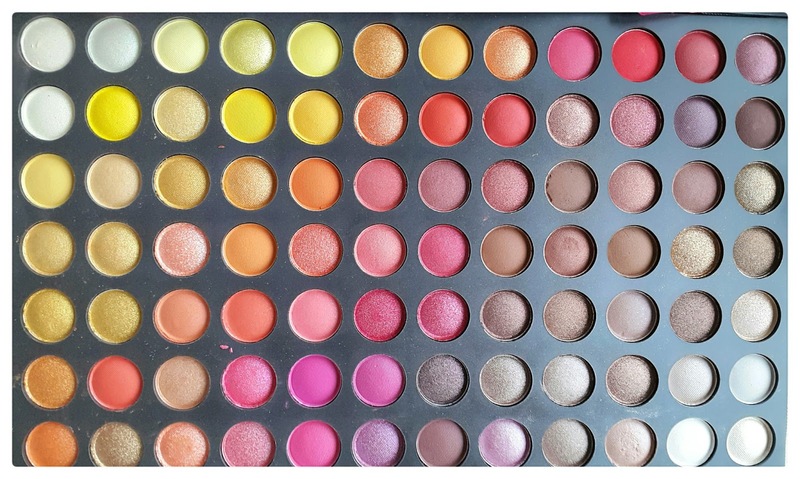 My favoruite is palette 3! I hadn't heard of this product before but it looks fab! I love the variety of colours especially the blues. I love that there’s shelves in a makeup palette 😂 I haven’t tried any of Coastal Scents products, might have to check them out!